Note: The following feature will only work with Armory Version 0.93.3 or greater. 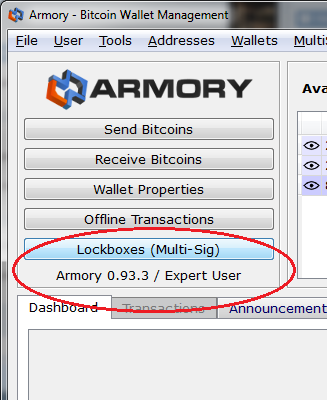 Earlier versions of Armory will not be able to recognize the unsigned transaction created below. 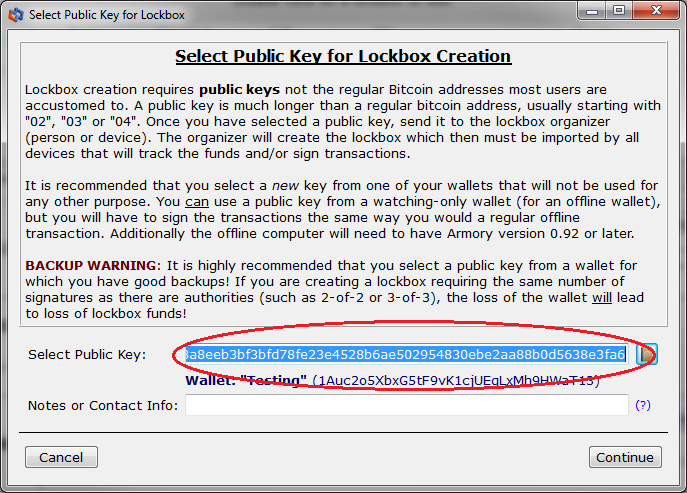 To add an armory offline address you need to have the public key of your address. To get it, you need to start Armory in Expert User mode. 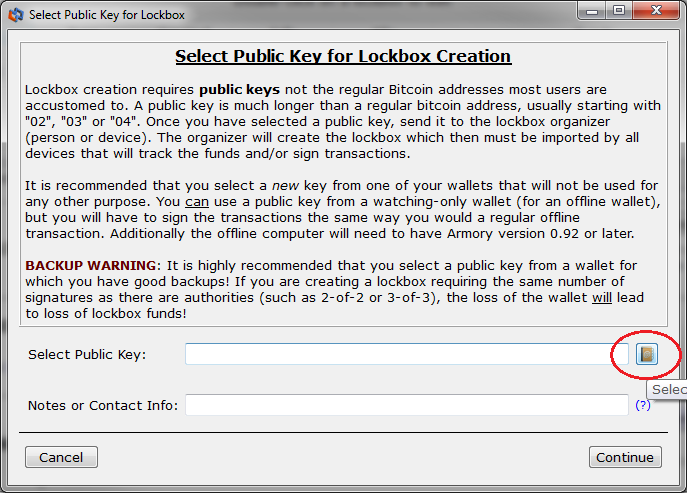 Click on the "Lockboxes" button on the Main UI and then click "Select Public Key". Select your address by clicking the address book button. Check your address and click "Select Address button"
Copy your Public Key from the text box and bring it to your online machine. 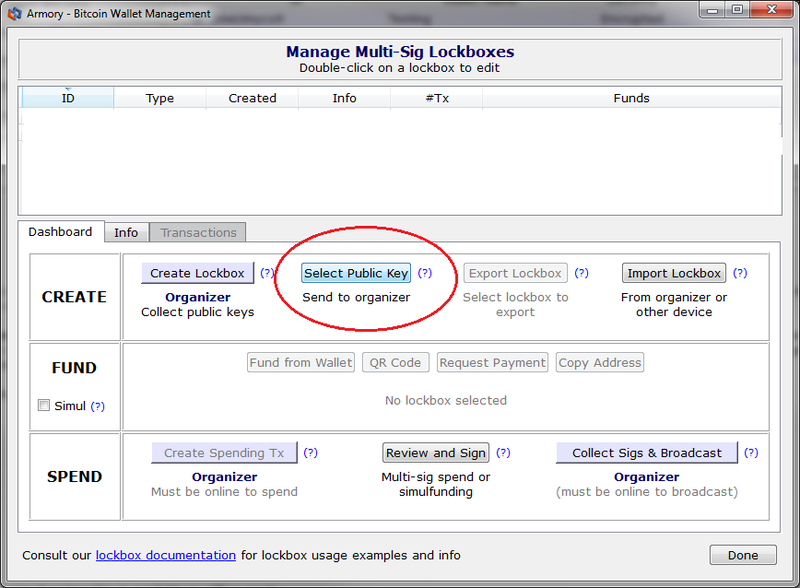 Login to Omniwallet. In the My Addresses tab you can add an Armory Offline Address from the "Add special" dropdown. Paste the Public key Hex into the text box and hit "Add address"
An icon is displayed to identify the offline address. You can now copy the text to a file or click save to download your transaction text to a file. Open that file on your Armory Offline Wallet in order to sign it. 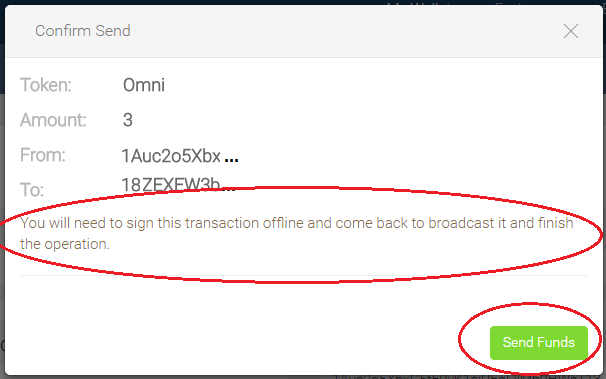 When you have the Signed transaction, get it back to the Omniwallet "My Addresses" page, and select "Broadcast Transaction" from the options menu. 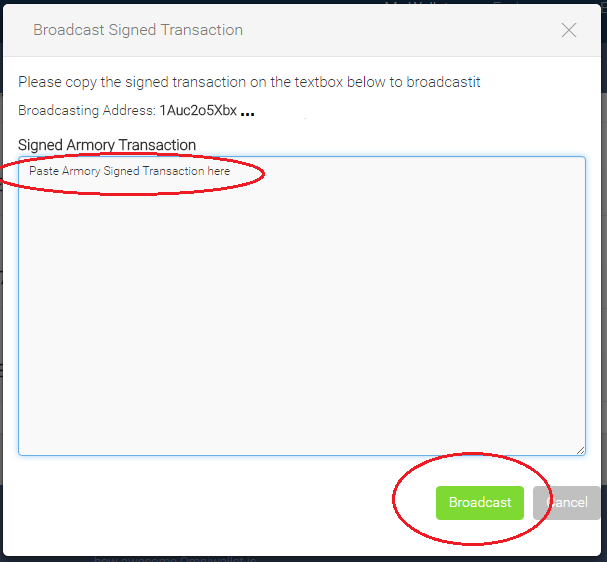 On the modal presented paste your signed transaction text, and finally click "broadcast" to have your transaction sent to the network. If all the steps were taken correctly you will be presented with a success message, you can now check your transaction on the blockchain.